View cart “Orange Tulle Gown Satin Ribbon Sash Autumn Flower Girls Tutu” has been added to your cart. The perfect combination of hot pink tulle, satin ribbons and silk roses whip together into this frothy confection of the sweetest ballerina dress ever! 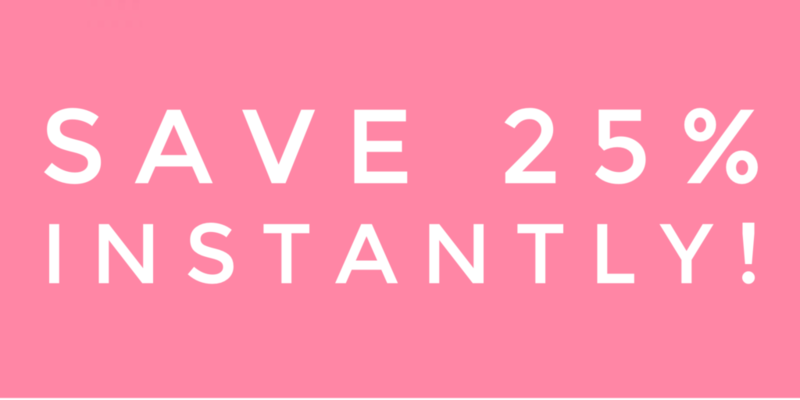 Every little girl loves the color pink… any shade of pink she can find, from soft ballerina pink to rose to vibrant hot pink and every color in between! All the guests are seated and ready turned back to watch the processional. Everyone is ready for the bride to make her grand entrance and take everyone?s breath away. The music swells and the doors open and the real scene stealer makes her entrance, the darling flower girl. 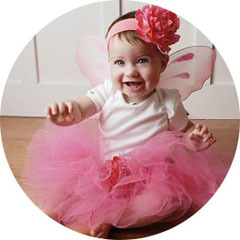 She is dressed in a brilliant shocking hot pink tutu dress with matching headband from Fairytale Tutus. No one will be able to take their eyes off that dear lovely little girl. All that will be heard is the click of camera shutters as they try to catch the joyous moment as she tosses out petals and floats down the aisle! The Hot Pink Flower Girl Tutu Dress and Headband Set is perfect for that bold daring little girl who has just a bit of sass. She will be overjoyed not only to open the box and try on her beautiful new dress but also to wear it for years to come. 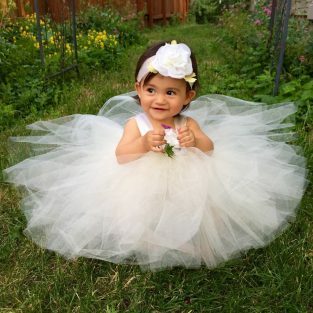 Each sewn tutu gown is carefully hand crafted for your special little one by our staff right here in the US from layer after layer of the finest most delicate bridal veil tulle. She will feel like she is sailing on a whimsical cloud of dreams. A sash created from the softest ribbon has a satin finish and secures comfortably around your child along with the gentle fit of shoulder straps sewn of smooth satin ribbon! Vibrant hot pink silk roses bloom delicately on the fitted ribbon bodice and on the matching satin headband to adorn her pretty curled locks. The Pi?ce de r?sistance is that while the dress is created for your smaller girls within the age range of newborn to five year old, this handmade tutu dress will grow with her. It can easily convert to a fanciful ballerina tutu by simply tucking the shoulder straps in and securing the sash about her waist. Now she can give into all of her imaginative dance fantasies! 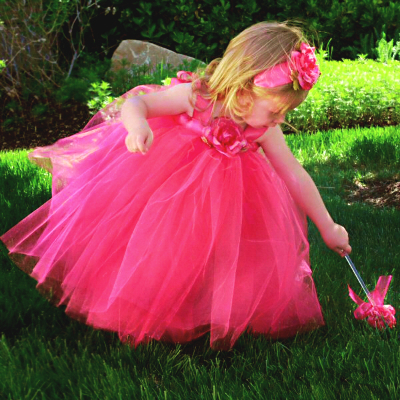 This ultra-fluffy hot pink tutu dress is not just for weddings or birthdays, either. With the ease of convertibility, it will make for a wonderful dress-up play item. 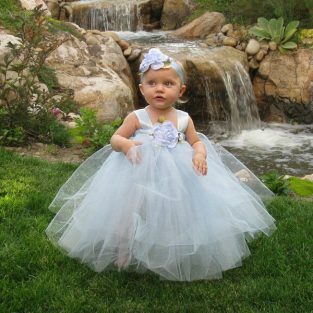 This can easily be extended into the realm of fairytale kingdoms with lovely handmade accessories available at Fairytale Tutus. Create the fairy princess fantasy with her own wish-granting magical flower wand. 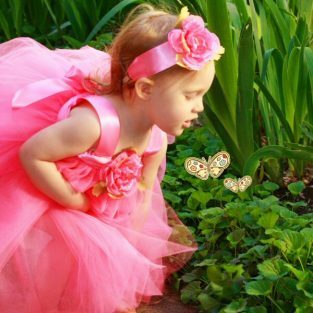 Let her believe she can fly as she dances around the garden in a set of shimmery pink butterfly wings. 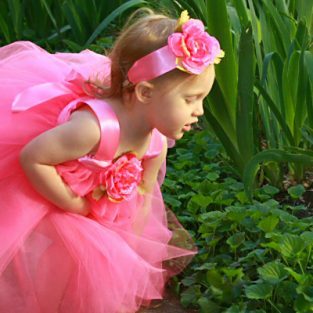 The tutu dress and flower headband set is an heirloom quality gift for your little sweetheart that will create memories time and time again. Isn?t that what childhood is all about?